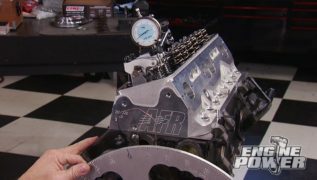 (MIKE)>> WELCOME TO ENGINE POWER AND A DAY PAT AND I HAVE BEEN IMPATIENTLY WAITING ON. WE FINALLY GET TO START THE TRANSFORMATION OF THIS MID '90'S THEMED PRO STREET '62 NOVA INTO A MODERN DAY STREET TERROR WE'RE NAMING "PROJECT PRO STREET OR NO STREET". NOW HERE'S A QUICK LOOK AT WHAT THIS CAR'S ALL ABOUT IN ITS CURRENT STATE. THE BODY IS ALL STEEL EXCEPT THE FIBERGLASS COWL HOOD. THE REAR QUARTERS ARE THE ONLY THING REPLACED AS FAR AS SHEET METAL GOES. 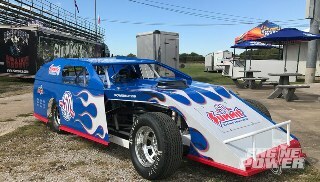 THIS CAR IS ROCK SOLID AND READY FOR WHAT WE HAVE PLANNED FOR IT. THE INTERIOR IS SUBTLE AND WELL EXECUTED. IT SPORTS A NICE SIX POINT ROLL CAGE, BUCKET RACING SEATS WITH FIVE POINT HARNESSES ALONG WITH A NICE GAUGE LAYOUT TO MONITOR ALL THE VITALS. THE SWITCH PANEL IS HIDDEN IN THE GLOVE BOX, AND ALL THE ENGINE ELECTRONICS ARE POSITIONED NEATLY UNDER THE DASH ON THE PASSENGER SIDE. UNDER THE TRUNK LID IS A STAINLESS FUEL CELL, NITROUS BOTTLE, AND THE BATTERY. THE REAR DOWN BARS FOR THE CAGE TIE INTO THE REAR SUBFRAME RAILS LIKE THEY SHOULD. SPLATTER PAINT WAS USED FOR A NICE FINISHING TOUCH. 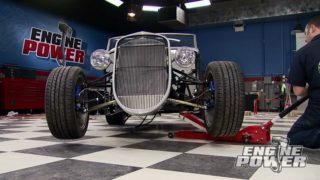 POWERING THIS MANLY MACHINE IS A 383 CUBIC INCH SMALL BLOCK CHEVY. IT HAS A FORGED BOTTOM END, ROLLER VALVE TRAIN, AND DART 215cc ALUMINUM CYLINDER HEADS. ...THIS THING'S, IT'S PRETTY SPORTY. (MIKE)>> WHAT DO YOU THINK IT'D RUN IN THE QUARTER MILE. 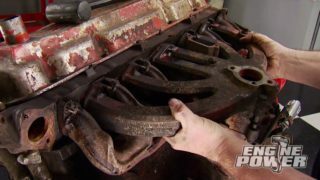 (PAT)>> YOU KNOW, I THINK WITH THE AMOUNT OF POWER THIS ENGINE HAS, IT HAS BETWEEN 450 AND 500 HORSE BY LOOKING AT THE PARTS. PROBABLY AN 11 SECOND CAR. WE'RE GONNA DOUBLE THE HORSEPOWER OF THIS. (MIKE)>> YEAH, ABSOLUTELY! I'M READY TO START ON IT. THE FINAL VOYAGE IS OVER AND THE TRANSFORMATION TO A NEW ERA PRO STREETER HAS TO START SOMEWHERE. NOW WE GOT A JUMP BY REMOVING THE EXHAUST, DRIVESHAFT, RADIATOR, AND FUEL SYSTEM FROM THE CAR, NOT TO MENTION A FEW OTHER ODDS AND ENDS. NOW THE BIG TICKET ITEMS HAVE TO GO. THE FRONT FENDERS ARE STEEL AND HAVE BEEN REPLACED. (PAT)>> WHEN PURCHASING A CAR TRY TO GET AS MUCH DOCUMENTATION AS YOU CAN. WE WERE LUCKY BECAUSE THE PREVIOUS OWNER KEPT ALL THE RECEIPTS AND EVEN THIS. AN ACCIDENT REPORT THAT GIVES A GOOD INDICATION WHY THE FENDERS WERE REPLACED. AT 1:39 PM ON 09/17/2011 THE NOVA LOST A BATTLE WITH AN ANIMAL OF SOME SORTS. A 10-45 IS A CODE FOR AN ANIMAL CARCASS. BOYZ IN THE HOOD! (MIKE)>> NEXT TO COME OFF IS THE FIBERGLASS HOOD, WHICH HAS A FOUR INCH COWL. (PAT)>> BACK IN THE DAY WE DID THIS ALL THE TIME. OW! 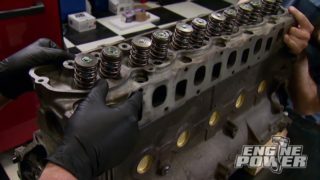 (MIKE)>> THE HEADERS CAN BE LOOSENED FROM THE CYLINDER HEADS AND PULLED BACK, AND THAT GIVES US THE GREEN LIGHT TO REMOVE THE ENGINE. HANG TIGHT FOR A MINUTE. (PAT)>> LOOK AT THAT, CLEAR! (MIKE)>> EIGHT SUBFRAME BOLTS ARE LOOSENED, FOUR ON EACH SIDE. PLUS SIX MORE HOLDING THE STRUT TOWERS AND INNER FENDER WELLS TO THE FIREWALL. THAT'S NOT WHAT I WANTED TO HAPPEN BUT AS LONG AS NO ONE GOT HURT WE'RE OKAY. (PAT)>> YEAH I'M GOOD! WELL NO TURNING BACK NOW. (MIKE)>> MAN IT REALLY LOOKS LIKE IT HIT AN ANIMAL CARCASS NOW. AT THIS POINT YOU'VE GOT TO BE CURIOUS OF WHAT'S REPLACING ALL OF IT, AND YOU WILL FIND OUT RIGHT AFTER THIS BREAK. (MIKE)>> AFTER A SHORT DRIVE FROM THE POWERNATION TECH CENTER WE MADE IT TO MISTER SPEED COATINGS LOCATED IN GOODLETTSVILLE, TENNESSEE. NOW THE REASON WE'RE HERE IS TO HAVE SOME PARTS POWDER COATED FOR OUR NOVA PROJECT. NOW THIS ISN'T YOUR AVERAGE INDUSTRIAL POWDER COATING COMPANY. THESE GUYS TAKE PRIDE IN WHAT THEY DO AND IN THEIR CASE IT'S A FORM OF ARTWORK. NOW THEY DO EVERYTHING FROM CUSTOM WHEELS TO FULL VEHICLES, AND IF YOU CAN DREAM UP A COLOR OR A COLOR COMBINATION THESE GUYS CAN EXECUTE IT IN PROFESSIONAL FASHION, AND THAT'S WHY WE BROUGHT THE NEW NOVA FRONT CLIP AND ALL OF ITS COMPONENTS FROM TOTAL COST INVOLVED HERE TO GET SOME COLOR. AFTER THE PARTS WERE SAND BLASTED, THE AREAS POWDER SHOULDN'T BE WERE METICULOUSLY TAPED OFF, LIKE WHERE THE BALL JOINTS SCREW IN AND THE BUSHINGS SLIDE IN. DANIEL'S BEEN IN THIS BUSINESS A LONG TIME, BUT NOT AS LONG AS HIS FATHER JAMES, WHO IS BUSY COATING OUR PRO TOURING INDEPENDENT FRONT SUSPENSION CLIP. (JAMES)>> 40 YEARS I'VE BEEN DOING THIS STUFF, AND IT'S A LOT OF R&D IN THIS STUFF. IT'S JUST GOT TO STOP AND THINK ABOUT IT SOMETIMES, AND YOU'VE GOT TO DO A LOT OF THINKING. THAT'S ALL I DO IS THINK ABOUT THE POWDER, AND I'VE GOT ADHD. SO MY MIND WORKS ALL THE TIME. WHEN I GO HOME I'M CONSTANTLY WORKING, THINKING ABOUT POWDER, AND BETTER WAYS TO DO STUFF. (DANIEL)>> HE'S BEEN POWDER COATING SINCE 1977. I WAS BORN IN '76. SO I'VE BEEN IN AND AROUND POWDER SINCE I WAS IN DIAPERS. IF I GOT IN TROUBLE AT SCHOOL AND GOT SENT HOME HE WOULDN'T LET ME GO HOME. HE'D ACTUALLY MAKE ME GO TO WORK WITH HIM. SO THAT WAS MY START WITH IT. A LOT MORE STEPS THAT GO IN TO MAKING SURE YOU'VE GOT A PERFECTLY FINISHED PART. IT'S ALL IN YOUR PREP WORK. (MIKE)>> WHICH ALSO INCLUDES A PREHEAT IN THE OVEN, AND HERE'S WHY. (DANIEL)>> ONE OF THE HARDEST THINGS ABOUT SPRAYING POWDER IS A FARADAY'S CAGE, WHICH POWDER HAS AN ELECTRICAL CURRENT TO IT, AND A FARADAY'S CAGE, WHEN YOU HAVE A 90 DEGREE CORNER, SHARPER, THE CURRENT FROM THE POWDER IS GONNA WANT TO JUMP TO THE CLOSEST SURFACES FIRST, WHICH IS ANY OF THE FLAT SURFACES SURROUNDING THE CRACKS AND CREVICES. THEN DOWN IN HERE IT'LL BE LIGHT AND YOU CAN ACTUALLY STILL SEE THE METAL, AND OVER TIME THAT WILL RUST OUT REALLY QUICK. WHEN YOU PREHEAT THE PART ONE OF THE THINGS IT LET US DO IS OVERCOME THAT FARADAY'S CAGE. POWDER IS ESSENTIALLY PLASTIC. SO WHEN WE SPRAY IT ANY OF THE POWDER THAT HITS THAT CRACK IS GOING TO STICK, AND YOU CAN ALSO, AS YOU'RE SPRAYING IT AND IT'S HOT LIKE THAT, THE POWDER WILL START TO CURE OUT AS YOU'RE SPRAYING IT BECAUSE IT'S ALREADY AT 400 DEGREES, AND YOU'LL BE ABLE TO SEE ANY OF THE LIGHT AREAS THAT YOU HAVE, AND THE END RESULT, IT JUST COMES OUT WITH A LOT BETTER FINISH. YOU DON'T END UP WITH A LOT OF LIGHT SPOTS AND CRACKS, AND CREVICES, AND THINGS OF THAT NATURE. (MIKE)>> AND THAT'S THE ONLY TRADE SECRET THEY WILL SHARE BECAUSE MIXING THEIR CRAFTSMANSHIP WITH ENDLESS CREATIVITY HAS PRODUCED THESE FUNCTIONAL WORKS OF ART. (JAMES)>> WE TAKE PRIDE IN WHAT WE DO, AND WE STAND BEHIND OUR WORK NO MATTER WHAT, NO QUESTIONS ASKED. SO I'VE HAD STUFF SHIPPED IN FROM CALIFORNIA, FLORIDA. I MEAN, ALL OVER THE UNITED STATES THEY SEND IN FOR ME TO DO STUFF. (MIKE)>> AND TO KEEP UP WITH THAT DEMAND THEY'RE ADDING 15,000 SQUARE FEET OF SHOP SPACE NEXT DOOR. DANIEL, HOW WOULD YOU DESCRIBE YOUR FATHER? (DANIEL)>> IF I HAD TO DESCRIBE MY FATHER IN JUST A FEW WORDS I WOULD SAY, AMERICAN FARMER WORK ETHIC MEETS ADHD OUT OF CONTROL ENERGY. HE'S ALL GO EVERY DAY. (MIKE)>> FINALLY WE'RE READY TO START SOME ASSEMBLY. THE FRONT END IS GOING ON. (PAT)>> IT BOLTS DIRECTLY TO THE FACTORY SUBFRAME RAILS WITH SUPPLIED HARDWARE. THESE ARE GRADE EIGHT FASTENERS THAT SECURE IT. ON THE FIREWALL WHERE THE STOCK CLIP WAS BOLTED NEW BRACKETS ARE INSTALLED. THREE BOLTS ARE STARTED BUT ONLY THE INNER IS TORQUED TO 30 POUND FEET AT THIS TIME. NEXT HOOD HINGE SUPPORT BRACKETS ARE PUT ON USING THE OUTER TWO BOLTS OF THE DOWN BAR BRACKETS. THOSE BOLTS ARE NOW TORQUED TO 30 POUND FEET. TO COMPLETE THE ASSEMBLY THE DOWN BARS ARE INSTALLED. THEIR LENGTH IS ADJUSTABLE WITH HEIM JOINTS ON BOTH ENDS TO HELP ALIGN THE FENDER AND DOOR GAPS LATER. THESE TUBULAR UPPER CONTROL ARMS ARE ONE INCH IN DIAMETER AND HAVE 156 THOUSANDTHS WALL THICKNESS. THEY COME WITH SCREW IN BALL JOINTS, AND CAN MOUNT IN ONE OF TWO FRAME LOCATIONS. THE TOP IS FOR STREET, STRIP, OR DRAG RACING, AND THE BOTTOM IS FOR PRO TOURING AND MORE AGGRESSIVE HANDLING LIKE AUTOCROSS OR ROAD RACING. THE LOWERS ARE TUBULAR AS WELL WITH A ONE AND AN EIGHTH INCH DIAMETER WITH THE SAME WALL THICKNESS AS THE UPPERS. THEY ALSO HAVE SCREW IN BALL JOINTS AND ARE EQUIPPED WITH TABS FOR THE SWAY BAR, AND HAVE A BOXED AREA WHERE THE COIL OVERS MOUNT. TOTAL COST INVOLVED REALLY DID THEIR HOMEWORK ON THE DESIGN OF THIS SYSTEM. 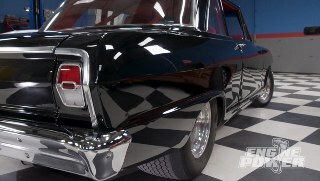 EVERYTHING FITS PERFECTLY AND IT'S A BREEZE TO INSTALL, AND THEY ALSO HAVE KITS FOR POPULAR FORD AND CHEVY MUSCLE CARS AS WELL AS STREET RODS AND CLASSIC PICK UP TRUCKS. THINGS ARE GOING WELL BUT WE'RE NOT DONE YET. WE STILL HAVE A FEW MORE COOL PARTS TO INSTALL, AND NEXT IN LINE ARE THE COIL OVER SHOCKS. THESE ARE QA ONE PROMASTARS, AND THEY'RE DOUBLE ADJUSTABLE, MEANING BOTH COMPRESSION AND REBOUND VALVING ARE SEPARATELY ADJUSTABLE BY THESE KNOBS. EACH ONE HAS 18 DIFFERENT CLICK SETTINGS TO DIAL IN THE PERFORMANCE YOU'RE LOOKING FOR. THE SPRINGS ARE ALSO FROM QA ONE, AND WE ORDERED THEM SPECIFIC FOR OUR APPLICATION. BECAUSE OF OUR BIG BLOCK'S EXTRA WEIGHT, WE CHOSE A 650 POUND SPRING TO KEEP THE FRONT END IN CHECK. QA ONE OFFERS SPRING RATES IN A WIDE RANGE TO COVER ALMOST ANY APPLICATION. ASSEMBLY IS A SNAP. WITH ANTISEIZE IN THE THREADED SHOCK BODY, THE LOWER LOCK RING, AND THE SPRING SEAT WITH ITS WASHER GETS RAN DOWN. NOW THE SPRING IS SLID INTO PLACE, AND THE SPRING CAP TOPS IT OFF. THE SEAT IS NOW RAN UP SO THE SPRING HAS A SLIGHT AMOUNT OF LOAD ON IT. FINAL ADJUSTMENT FOR RIDE HEIGHT WILL BE DONE WITH THE CAR COMPLETE AND ON THE GROUND AT FULL CURB WEIGHT. THE WHOLE ASSEMBLY GETS BOLTED IN ITS PLACE. FIRST THE TOP MOUNT, THEN THE LOWER. MAKE SURE THE ADJUSTMENT KNOBS FACE OUT FOR EASY ACCESS. (MIKE)>> LINKING THE UPPER AND LOWER BALL JOINTS TOGETHER IS THE SPINDLE. THIS IS A TWO INCH DROP DESIGN THAT WILL ALLOW US TO HAVE AN AWESOME STANCE. ALSO SUPPLIED BY TCI IS AN 11 INCH CROSS DRILLED AND SLOTTED ROTOR. 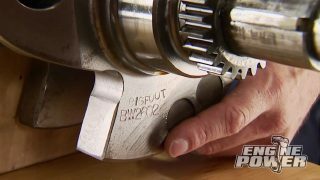 APPLYING THE BRAKE CLAMPING FORCE ARE WILWOOD'S BIG BORE FORGED DYNALITE CALIPERS. THEY ARE A FOUR PISTON DESIGN, AND WE ORDERED THEM RED TO MATCH THE CLIP. FOR STEERING WE CHOSE A MANUAL RACK FOR A COUPLE OF REASONS, WEIGHT SAVINGS AND EASE OF INSTALLATION. NO PUMPS AND NO LINES. AN IMPORTANT STEP WHEN INSTALLING A NEW STEERING RACK IS MAKING SURE IT'S CENTERED SO YOU HAVE AN EVEN AMOUNT OF TURNS TO THE LEFT AND TO THE RIGHT. NOW IT'S A SIMPLE PROCESS THAT ONLY TAKES A COUPLE OF MINUTES TO DO. FIRST TURN THE PINION ALL THE WAY TO THE LEFT LOCK POSITION. NOW MEASURE FROM THE END OF THE TIE ROD TO A SOLID POINT ON THE RACK BODY. WE HAVE 15 INCHES. NOW TURN THE PINION ALL THE WAY TO FULL RIGHT LOCK AND TAKE THE SAME MEASUREMENT FROM THE SAME POINTS. WE HAVE NINE-750. THE EQUATION IS SIMPLE. AT FULL LEFT LOCK WE HAD A MEASUREMENT OF 15 INCHES. AT FULL RIGHT LOCK IT WAS NINE-750. SUBTRACT THOSE TWO AND WE GET FIVE-250. NOW DIVIDE THAT BY TWO, WHICH TWOSIX-25 AND ADD THAT TO THE SHORT SIDE, WHICH WAS NINE-750. THAT GIVES US 12-THREE-75. NOW THE RACK IS EVEN ON BOTH SIDES. THE TIE ROD ENDS THREAD ON NEXT, AND HERE'S HOW TO GET A BALLPARK ALIGNMENT. USING THE TUBULAR FRAME RAIL AND THE INSIDE OF THE ROTOR AS A REFERENCE, FIND THE EQUAL DISTANCE FROM THE FRONT AND REAR OF THE ROTOR FROM THE FRAME RAIL. IT'S 10 AND FIVEEIGHTHS INCHES. NOW ROTATE THE TIE ROD END UNTIL IT'S EVEN WITH THE SPINDLE. INSTALL IT AND HAND TIGHTEN YOUR NUT. FINALLY DOUBLE CHECK YOUR MEASUREMENT. ON THE MONEY! TOTAL COST INVOLVED ALSO INCLUDES THIS ONE INCH ANTI ROLL BAR. URETHANE BUSHINGS AND STEEL BRACKETS ATTACH IT TO THE FRONT CLIP. HIGH QUALITY HEIMS MAKE THE LINK TO THE TABS ON THE LOWER CONTROL ARMS. IF YOU'RE IN THE MARKET FOR A FRONT CLIP OR ANY OTHER SUSPENSION COMPONENT IT'S HARD TO BEAT THE QUALITY AND PRICE POINT OF TOTAL COST INVOLVED. 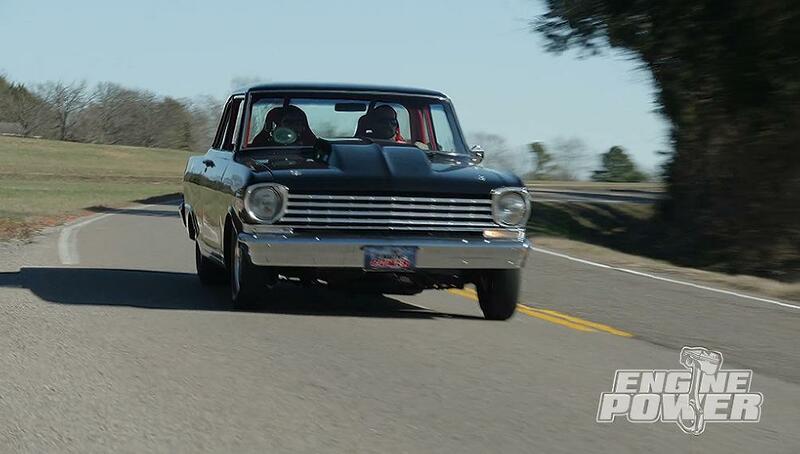 THE CRAFTSMANSHIP, WELD QUALITY, AND GOOD LOOKS GO A LONG WAY AND ALLOW US TO PROUDLY SHOW IT OFF IN THE NOVA. WE HAVE TO TAKE A BREAK AND WHEN WE COME BACK YOU'RE GONNA SEE THE POWERHOUSE THAT'S GOING IN "PROJECT PRO STREET OR NO STREET". IT'S A NATURALLY ASPIRATED RAT THAT MAKES OVER 950 HORSEPOWER. I'M SURE WE'LL SEE YOU BACK IN A COUPLE OF MINUTES. 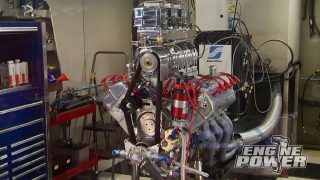 (MIKE)>> THE ENGINE FOR "PROJECT PRO STREET OR NO STREET" IS OUR 588 CUBIC INCH BIG BLOCK CHEVY WE BUILT AT THE END OF LAST SEASON. IT STARTED WITH A TALL DECK SPORTSMAN BLOCK THAT HAS FOUR BOLT MAINS. A FORGED CRANKSHAFT WITH A FOUR AND A HALF INCH STROKE WAS LAID IN, AND A SOLID ROLLER CAM SHAFT WAS PAIRED UP WITH A JESEL BELT DRIVE. 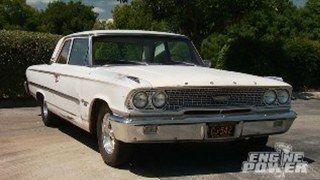 FORGED PISTONS AND RODS FILLED UP THE FOUR-560 BORE, EDELBROCK MUSI 24 DEGREE CYLINDERS HEADS TOPPED OFF THE DECKS, AND ONE POINT EIGHT RATIO JESEL SHAFT ROCKERS WERE INSTALLED. SEALING OFF THE VALLEY WAS AN EDELBROCK MUSI SINGLE PLANE MANIFOLD, AND THE DISTRIBUTOR WAS MOUNTED UP FRONT AND DRIVEN OFF THE JESEL DRIVE. THEN WE ROLLED IT INTO THE LIE DETECTOR CHAMBER, FIRED IT UP, AND WAITED FOR THE RESULTS. MAN THAT'S SWEET! 953 ON POWER, 764 ON TORQUE, AND EVERYTHING WAS DOING ITS JOB. 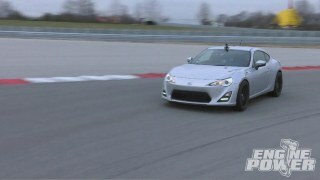 (MIKE)>> A LITTLE FITMENT INTIMIDATION IS LINGERING. THIS IS A BIG ENGINE AND THE CLOSER IT GETS TO THE CAR THE SMALLER THE CAR LOOKS. COME ON DOWN SOME. WILL IT FIT? NICE! AS THE ENGINE AND CHASSIS MOUNTS COME TOGETHER THE INTIMIDATION IS GONE. THIS MAKES A PRETTY STRONG STATEMENT. TALK ABOUT A KILLER POWER TO WEIGHT RATIO. WE DROPPED THIS POWERHOUSE BETWEEN THE FRAME RAILS OF THE NOVA JUST TO CHECK FOR FITMENT THIS TIME. THE ENGINE IS COMING BACK OUT AND GOING ON THE DYNO FOR A LITTLE ENHANCEMENT. NOW WE TALKED ABOUT MODERNIZING THIS WHOLE PROJECT AS WE GO, AND HERE'S A QUICK PEAK AT A LITTLE PIECE THAT'S GONNA GET US THERE IN THE NEXT PHASE OF THIS BUILD. IT'S A CUSTOM WILSON MANIFOLD THAT WAS BUILT FOR OUR TALL DECK. NOW IT STARTED OUT AS A CARBURETED MANIFOLD. THE GUYS AT WILSON WELDED IN INJECTOR BUNGS AS WELL AS FITTED THE INTAKE WITH FUEL RAILS. THEY EVEN FINISHED IT WITH THEIR AWESOME MEDIA BLAST FINISH. ON THE INSIDE IT RECEIVED EXTENSIVE WORK TO OPTIMIZE RUNNER VOLUMES AND FLOW CHARACTERISTICS. NOW THIS IS GOING TO ENHANCE DRIVABILITY, THROTTLE RESPONSE, AND BRING THE 588 INTO MODERN TIMES. (PAT)>> DEI PERFORMANCE IS ONE OF THE FOREMOST SUPPLIERS OF THERMAL PROTECTION FOR US GEARHEADS, AND ONE OF OUR FAVORITE PRODUCTS THAT THEY MAKE ARE THEIR SELF ADHESIVE HEAT BARRIER SHEETS. THE REFLECTACOOL SHEET IS AN ALUMINIZED FIBERGLASS SELF ADHESIVE SHEET THAT TAKES UP TO 400 DEGREES OF DIRECT HEAT AND UP TO 2,000 DEGREES OF RADIANT HEAT, BUT FOR MORE EXTREME CASE THE REFLECTAGOLD IS A SPACE AGE METALIZED POLYMER THAT TAKES UP TO 850 DEGREES OF TEMP. NOW BOTH ARE EASY TO TRIM AND REQUIRE VIRTUALLY NO CLEARANCE, AND THEY WILL INSULATE YOUR FUEL CELL, LINE, HOSES, AND FIREWALL. 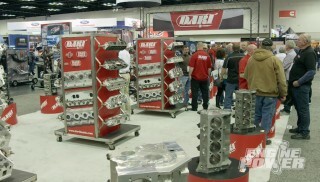 PICK UP SOME FOR YOUR RIDE AT SUMMIT RACING. 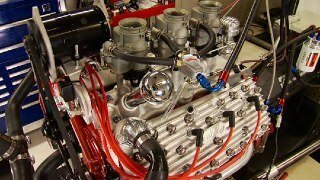 (MIKE)>> DO YOU NEED A REPLACEMENT LS ENGINE FOR YOUR DAILY DRIVER, OR MAYBE YOU'RE LOOKING FOR ONE TO DROP BETWEEN THE FRAME RAILS OF A HOT ROD OR OFF ROAD VEHICLE? 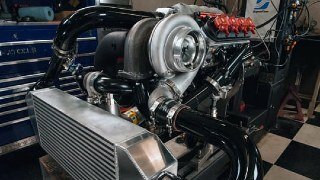 WELL IF SO POWERTRAIN PRODUCTS INC HAS YOU COVERED WITH A HUGE SELECTION OF REMANUFACTURED LS ENGINES AT AN AFFORDABLE PRICE, AND THEY COME WITH AN AWESOME WARRANTY. THIS IS AN '07 THROUGH '09 ALUMINUM BLOCK FIVE POINT THREE LITER LS. NOW POWERTRAIN PRODUCTS FIXES KNOWN FAULTS, LIKE THE DOD PLATE CLOGGING AND FAILING BY REPLACING IT WITH A NEW DESIGNED PLATE LIKE THIS. NOW THEIR COMPETITORS RECLAIM AND REUSE THE FAULTY ONES TO CUT COSTS. NOW YOU CAN CHECK OUT POWERTRAIN PRODUCTS DOT NET TO GET PRICES OR WARRANTY INFORMATION ON AN LS OR OTHER DRIVETRAIN COMPONENT THAT YOU NEED. 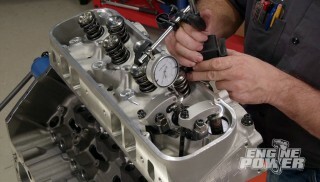 (PAT)>> TODAY'S TECH TIP BRINGS US BACK TO OUR FAVORITE TOOL IN THE SHOP, THE ENGINE DYNO. 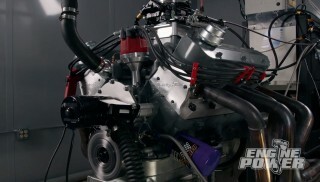 NOW WE'VE ALREADY SHOWN YOU THE BASICS OF ITS OPERATION AND HOW TO DECIPHER SOME OF THE INFORMATION OFF THE DYNO SHEET. 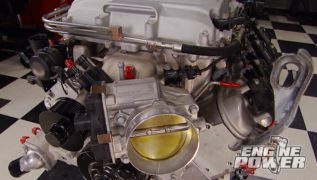 WELL TODAY WE'RE GOING MORE IN DEPTH ON HOW THE DYNO MEASURES HOW MUCH FUEL GOES TO THE ENGINE AND HOW WE CAN USE THAT INFORMATION TO TUNE FOR MAXIMUM HORSEPOWER AND TORQUE. (MIKE)>> OUR DYNO GIVES US THE OPPORTUNITY TO OPTIMIZE AN ENGINE'S PERFORMANCE BEFORE IT GETS DROPPED THE FRAME RAILS OF A VEHICLE. BY MEASURING THE AMOUNT OF FUEL THE ENGINE CONSUMES VERSUS THE AMOUNT OF POWER IT MAKES IS ONE OF THE FIRST THINGS WE LOOK AT WHEN IT COMES TO TUNING. 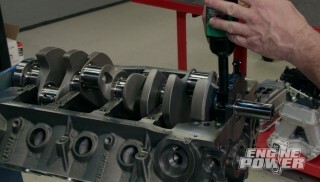 THE DYNO MEASURES FUEL FLOW BY THIS TURBINE THAT IS INLINE BETWEEN THE FUEL PRESSURE REGULATOR AND THE CARB'S INLETS. NOW IT GIVES A READING ON A DYNO SHEET OF TOTAL FUEL FLOW IN POUNDS PER HOUR. (PAT)>> SO WHY IS THAT IMPORTANT? WELL ON RACY ENGINES LIKE WE WORK ON IT TAKES ROUGHLY A HALF A POUND OF FUEL TO MAKE ONE HORSEPOWER FOR ONE HOUR. NOW THAT WILL ABSOLUTELY VARY ON THE APPLICATION AND EFFICIENCY OF THE POWER PLANT, BUT FOR US GEARHEADS IT'S A GOOD BENCH MARK, AND WE WENT AHEAD AND MADE A PULL ON THIS ENGINE EARLIER TO SHOW YOU WHAT THOSE NUMBERS ARE. THAT NUMBER IS SHOWN ON THE DYNO SHEET EXPRESSED AS BRAKE SPECIFIC FUEL CONSUMPTION, OR BSFC. THE FUEL FLOW IS MEASURED AND THE DYNO CALCULATES A BSFC NUMBER THROUGHOUT THE ENTIRE DYNO RUN. 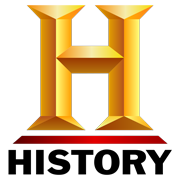 (MIKE)>> THE NUMBER GIVEN IS USED TO ADJUST THE FUEL CURVE OF THE CARBURETOR. NOW COMBINED WITH THE SPARK PLUG READING AND THE CONDITION OF THE EXHAUST PORT, A TUNING CALL CAN BE MADE. NOW THE HIGHER THE BSFC NUMBER THE RICHER THE ENGINE IS RUNNING. THE LOWER THE NUMBER THE LEANER THE ENGINE IS RUNNING. ON THE TYPE OF ENGINES WE BUILD THE RANGE OF THE BSFC NUMBER IS FROM THE LOW POINT FOURZEROES TO JUST OVER POINT FIVE WHEN IT'S RUNNING GOOD. (PAT)>> BUT KEEP IN MIND THAT EVERY ENGINE WILL REQUIRE YOU TO FIND OUT WHERE IT WANTS TO BE. TOO LEAN OF A CONDITION CAN DAMAGE PISTONS, AND TOO RICH OF CONDITION WILL WASH DOWN CYLINDER WALLS. BOTH WILL COST YOU POWER, AND BOTH CAN BE DAMAGING TO YOUR BULLET. THE HORSEPOWER AND TORQUE TELLS THE TALE ALONG WITH CAREFUL OBSERVATION OF YOUR PARTS DURING TESTING. (MIKE)>> THERE'S A LOT OF OTHER IMPORTANT AND USEFUL INFORMATION ON A DYNO SHEET, AND WE'LL GET TO THAT AT A LATER TIME. NOW THE REASON WE'RE SHARING THIS INFORMATION WITH YOU IS WE WANT YOU TO GET YOUR ENGINE ON A DYNO. THEY'RE NOT THAT HARD TO FIND, BUT DYNO TIME CAN GET A LITTLE EXPENSIVE. (PAT)>> AND BRINGING UP TO SPEED ON THINGS LIKE BSFC HELPS EDUCATE YOU ON WHAT GOES ON DURING A PROPER DYNO TUNING SESSION, AND KNOWING THESE THINGS AHEAD OF TIME MAKES IT A LOT EASIER TO ASK QUESTIONS, BUT ALSO MAKES IT A LOT EASIER TO LAY DOWN THAT BIG CASH FOR DYNO TIME SO YOUR ENGINE WILL RUN AT PEAK PERFORMANCE.